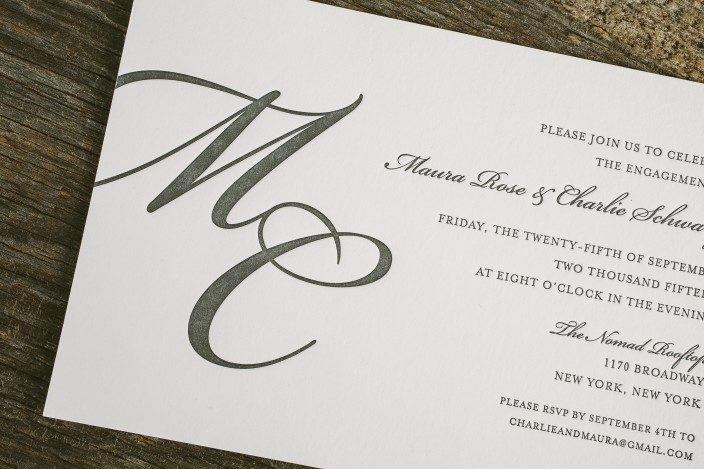 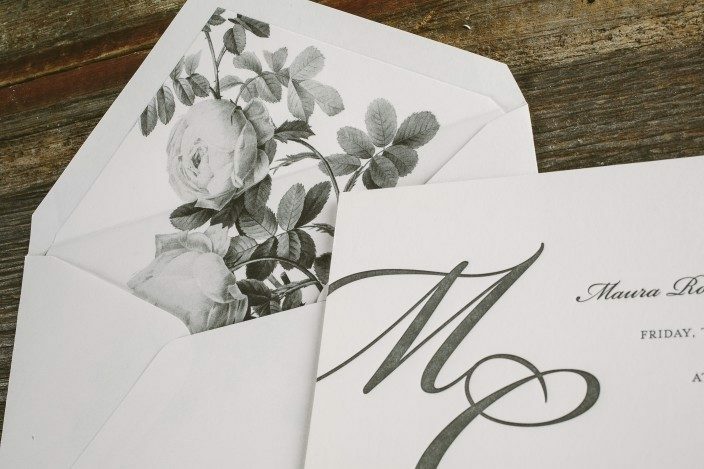 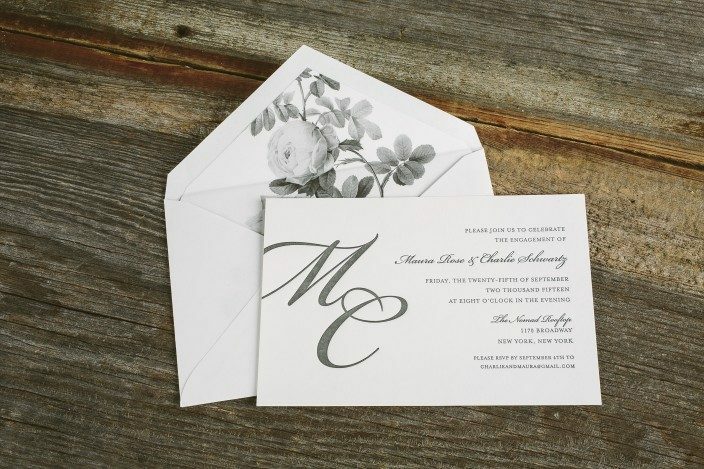 For Maura and Charlie’s monogrammed engagement party invitations, we went with a monochromatic look, letterpress printing the invitations in pewter ink and using our white rose vintage print pattern for the coordinating envelope liners. 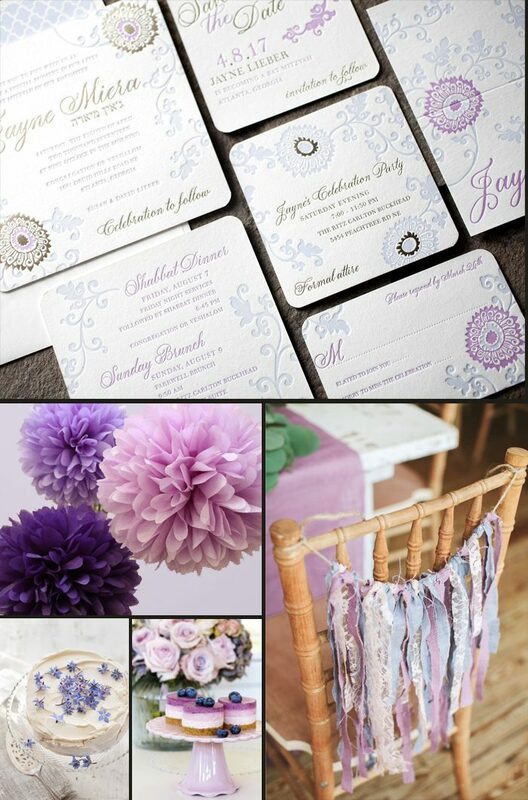 We worked with Marissa Allie Designs to create the set, which was inspired by our Finley Bat Mitzvah suite, and we loved seeing the design reimagined for an engagement party! 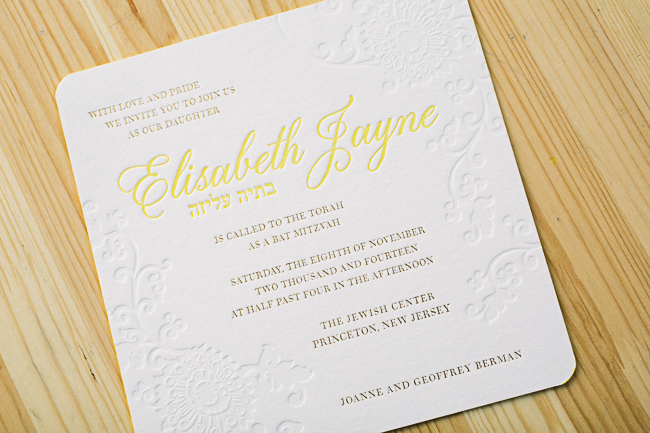 We customized our Finley Bat Mitzvah design to create Marielena and Rick’s monogram wedding invitations. 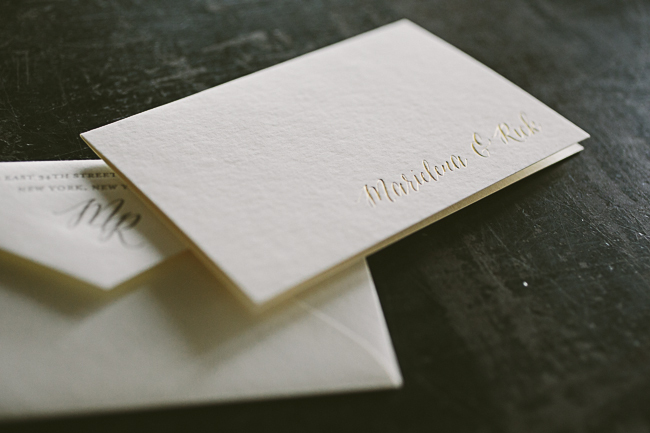 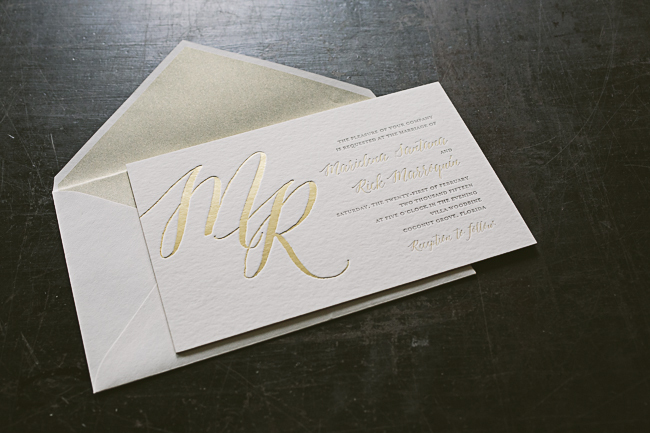 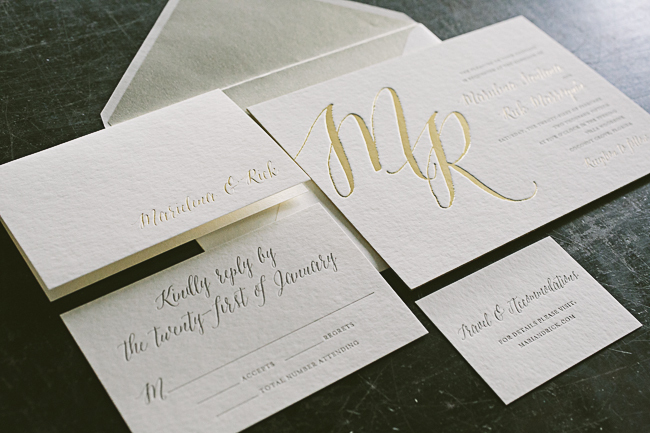 Letterpress printed in taupe ink, the invitations feature an elegant, oversized monogram in gold matte foil. 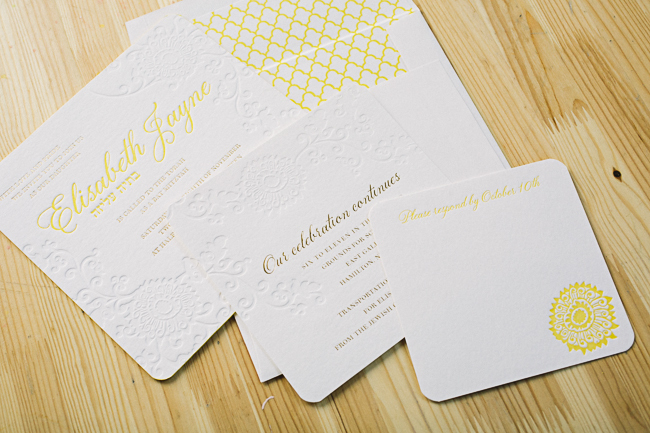 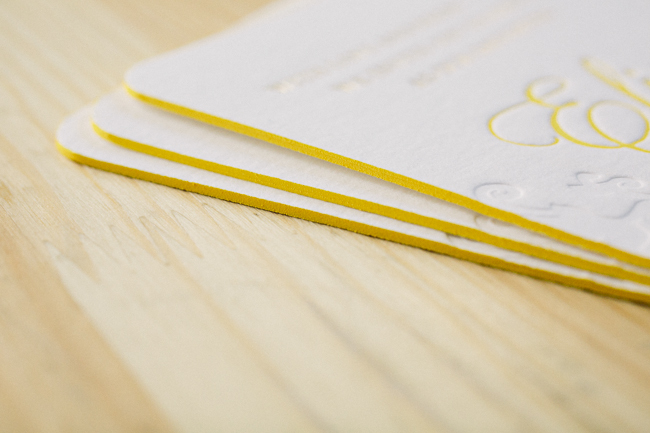 Reply cards, website cards, and personalized social notes were also printed to match the set.